Are brown eggs more nutritious? Why do some eggs have two yolks? When do hens start laying? Here are answers to these questions and more. Not a week goes by without my receiving at least one question about eggs via one online method or another. I appreciate the trust these folks put in me and my experience, and I’m more than happy to respond to their queries. As several questions tend to repeat, today I’ll share and answer 10 of the most common questions I receive for anyone else who might wonder about the same topics. 1. Are Brown Eggs Better for You Than White Eggs? The color of an egg’s shell has everything to do with pigmentation and nothing to do with nutrition. Regardless of whether the eggshell is brown, blue, tinted or white, the nutritional value of an egg is the same. Brown eggs tend to be (erroneously) considered healthier because they are associated with local farms versus factory farms. 2. Why Does the Taste of My Hens’ Eggs Differ From Summer to Spring? During the summer, more natural fodder is available for hens to eat than during spring, when plant growth is just starting to emerge. The more fresh forage they eat, the richer and tastier the eggs will be. 3. Why Do My Eggshells Break So Easily? Eggshells draw their calcium from a hen’s own body. Without additional calcium to build up reserves, your layer will not only produce thin shells but also will suffer from weakened bones. To keep your hens healthy, strong and able to produce strong eggshells, offer your flock a supplement such as crushed oyster shells or limestone. Note: Do not allow your chicks or juveniles to eat the calcium supplement, as this can severely damage developing kidneys. 4. How Can I Tell Fertilized and Unfertilized Eggs Apart? There is no way to tell a fertilized egg from an unfertilized egg without cracking it open and looking for the germinal disc or germ. An unfertilized egg’s germ appears as a small white spot, while a fertilized egg’s germ resembles a small halo with a clear center. 5. When Will My Hens Start Laying Eggs? 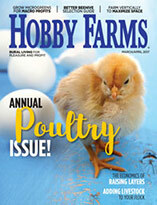 A pullet starts laying at an average age of six months. 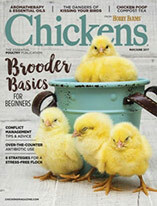 Factors that affect this include the breed of chicken and the time of year. Heavier breeds such as Cochins and Orpingtons take longer to reach maturity and start to lay later. Smaller breeds such as Ameraucanas and Leghorns lay earlier. Regardless of a bird’s age, if daylight is decreasing just as a pullet reaches laying age, that first egg won’t show up until the following spring. 6. There Are Spots in My Hens’ Eggs; Are They Embryos? Unlikely. Eggs sometimes include blood spots or meat spots. Blood spots results from a broken blood vessel releasing blood onto the yolk as it gets released into the reproductive tract. Meat spots are typically bits of oviduct tissue that break off and become incorporated into the egg as it passes through. 7. Why Do My Hens Sometimes Lay Double-Yolk Eggs? Double yolkers most commonly occur in pullets, whose immature reproductive systems accidentally release more than one yolk at a time. They can also occur as a hen gets older and her reproductive system starts slowing down. 8. Why Do My Chickens Lay Tiny eggs? Those tiny eggs, called wind eggs or fart eggs, are produced by pullets coming into lay whose immature systems are still stabilizing. As your birds mature, the eggs will become normal in size. 9. Will My Hen Lay an Egg Every Day? 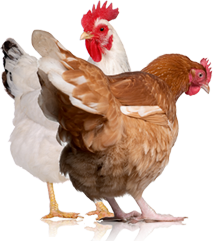 A hen in her laying prime (one year of age) lays an average of four to five eggs per week. However, factors such as temperature changes, dehydration and stress can affect a hen’s rate of lay. 10. Do I Need a Rooster for My Hens to Lay Eggs? Hens begin to produce eggs on their own as they reach maturity. You need a rooster only if you want to produce chicks.